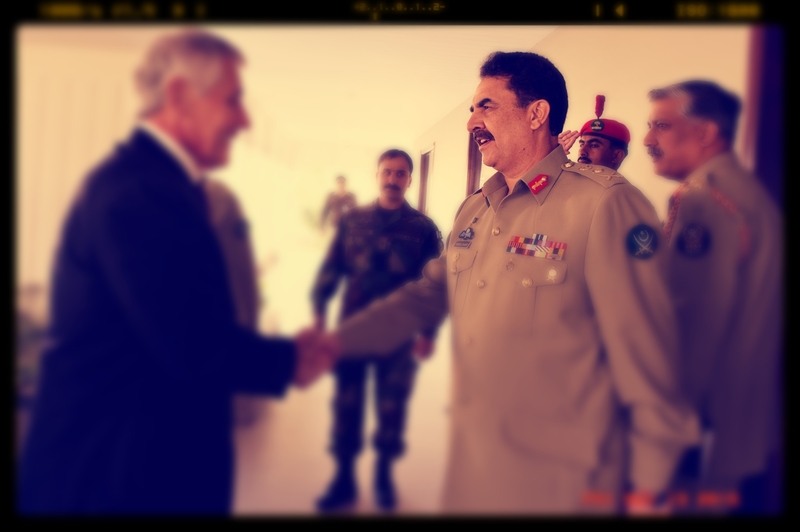 When a Pakistani general walks into a room in Washington, he gets noticed. Heads turn. Staffers trip over themselves to catch a glimpse. Whispers are heard: that’s the most powerful man in Pakistan. We have an opportunity to witness this recurring spectacle on November 15 when Pakistani Chief of Army Staff General Raheel Sharif will visit Washington for official meetings. Much has been written about why he is so popular. First, he has gone after anti-state militants in the country’s Federally Administered Tribal Areas. The move has revived the military’s poor morale and identity crisis, after losing nearly 50,000 Pakistani lives in the war on terror. Second, General Sharif has targeted militant and criminal networks in Karachi, Pakistan’s financial capital. This has addressed concerns of the business community, powerful politicians, and ordinary Pakistanis who suffer under the city’s growing sectarianism, militancy, and violence. Third, Sharif is not viewed as a U.S. stooge. He doesn’t have the same baggage his predecessor General Ashfaq Kayani had in proving to Pakistanis that he wasn’t an agent of the Americans. During Kayani’s time, the release of Wikileaks cables revealed conversations between Kayani and then U.S. Ambassador Anne Patterson in which he allegedly asked for more drone strikes. Kayani never bounced back from this. General Sharif seems to have listened to Pakistani grievances and acted on them – something the country’s civilian leaders are rarely known for. It is too early to give General Sharif credit for fighting terrorism. The situation in Pakistan is not a problem that can be tackled through a one-off campaign. It requires a culture shift, a change in political thinking, a new national security paradigm, and most of all, a partnership with Afghanistan that does not wade so frequently into antagonism. Some of this is happening now, but it is far too nascent to be permanent. Despite the appeal of General Sharif’s military accomplishments – however nascent they may be – I am more interested in the appeal of so easily projecting him into the political realm. Why do we seek to craft the generals into soldier-statesmen? In the case of Pakistan this holds true. Civilian leaders are viewed as less educated, more corrupt, and incompetent in their handling of civilian affairs. Why would anyone trust them with security matters? But by leaving civilians out of this space, it creates opportunities for generals to assume political identities. Sometimes the general is deliberate about doing so, but in other cases, the cult of the general is propagated by an adoring and yearning public. In Pakistan, a soldier-statesman moniker for the Chief of Army Staff fills a void of not having a charismatic and dynamic political leader running the country during a time of major upheaval. Prime Minister Nawaz Sharif, despite being elected with an overwhelming popular mandate, has marvelously failed to fill this role. But there’s no need to overanalyze the situation. General Sharif is nothing special. Pakistani chiefs of army staff assume a very corporate attitude towards all things official. They tow the party line for a military that is a monolith in the truest sense of the word. To the extent General Sharif’s views seem novel and revolutionary, they are an accurate reflection of the security establishment’s thinking. Finally, calling General Sharif a soldier-statesman carries particular significance beyond lauding personal achievement. Lest we forget, we should remind ourselves of Pakistan’s other generals who tried on civilian clothes: Ayub Khan; Yahya Khan; Zia ul Haq; and Pervez Musharraf. Given Pakistan’s troubled past with military coups and the daunting task at hand, perhaps we should let General Sharif just be a general.